Introducing: More Storage for Less Money! EditMe is pleased to announce that there has been a significant increase in the amount of storage space that customers receive when they sign up for a plan. This will allow you and your team to store more documents, share more ideas and be more productive. We’ve been able to cut costs, making our award-winning service even more efficient and to show our appreciation for your dedication…we want to pass these savings onto to you, our valued customers! Customers on the TEAM plan just got a 2X increase in storage, increasing all the way up to 1 GB. Customers on the BUSINESS plan got a 3X increase in storage, putting them at a total of 10 GB of storage. Customers on the ENTERPRISE plan got an 8X increase in storage, which equals out to be a whopping 100 GB! If you are interested in signing up with a new plan or changing your current plan, you can visit our plans and pricing page for more information. 1. No learning curve: Which of the Wiki services has a WYSIWYG or What You See Is What You Get editor? The WYSIWYG allows your users to see exactly what the finished product is going to look like when you publish text and pictures on your website, meaning that literally anyone can use it, no matter how technically proficient they are. A WSYIWYG editor guarantees that each and every member of your team will be able to edit. 2. Immediate Setup & Access: Are you ready to start using your wiki now but are worried about all the hoops you may have to jump through to actually get your site up and running? Look for a wiki that can have you up and running in minutes. There are no patches to install, or files to download! All features are online enabled, so you can access your system at anytime from anywhere there is a connection to the internet. Find a wiki that you can use from any personal computer, just as you would from your own. 3. Low lifetime cost of ownership: The most important consideration to look for, when shopping around for any hosted wiki solution, is the overall cost associated with it. Does your wiki charge you for adding extra members? How much is it per month, per year? What benefits are associated with this wiki? Obviously, looking for the wiki that is not going to charge you for more members, added features and other benefits is the ideal for maintaining a cost effective system. "My favourite thing about EditMe? How easy it is to organise all my stuff!" 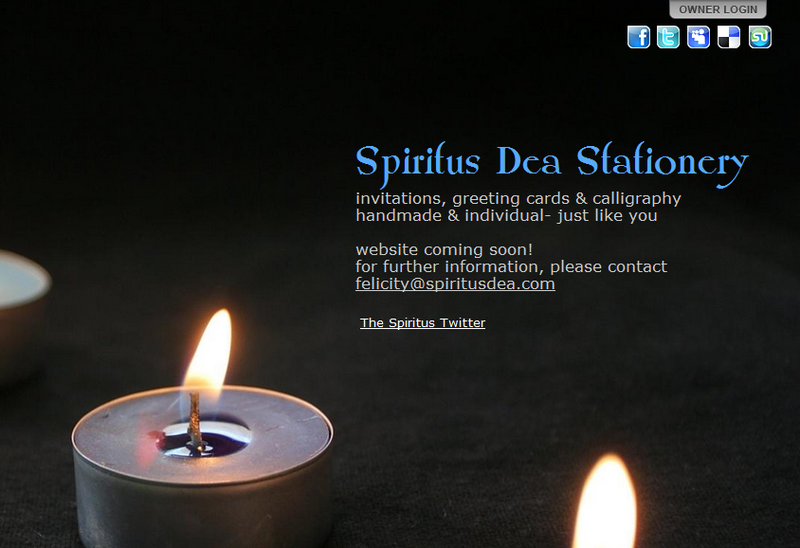 Starting your own business is both an exciting and difficult experience and nobody knows this better than Felicity Beutler, owner and proprietor of Spiritus Dea Stationary. Knowing she wanted to utilize her artistic talents for creating individual handmade invitations & greeting cards, Felicity needed an online resource that would allow her organize all of her thoughts, products, financial documents and be able to share this information, anywhere and at any time. That’s where EditMe came in. Using the accessible wiki software, Felicity has begun building her empire and shares her experiences with using EditMe below. Why do you use EditMe? I am starting up my own business, and EditMe has been the best way to collaborate all of my ideas and information on getting my business off the ground! How did you do it before using EditMe? I hadn't really done anything like this before EditMe, but I fell in love with it straight away, and I don't think there is anything else that could help me as well as this! What's your favorite thing about EditMe? My favourite thing about EditMe? How easy it is to organise all my stuff! I can put all my ideas in, I can link it all together, and I can access it anywhere. Plus the fact that I can allow other people to see sections I need them to see, without seeing my private pages. What would make the experience better for you? The only thing that would help would be the way the security on the pages works.... It can be a little confusing! How do you describe EditMe to friends and colleagues? EditMe is a fabulous collaboration portal- almost like a company's 'Bible' in some ways- a place where you can house anything and everything you need to keep on your business, your life, your plans, anything. Getting an education is an integral piece to any student’s success but being able to fund that education, as well as establishing yourself as an independent adult after school ends is a whole other story. 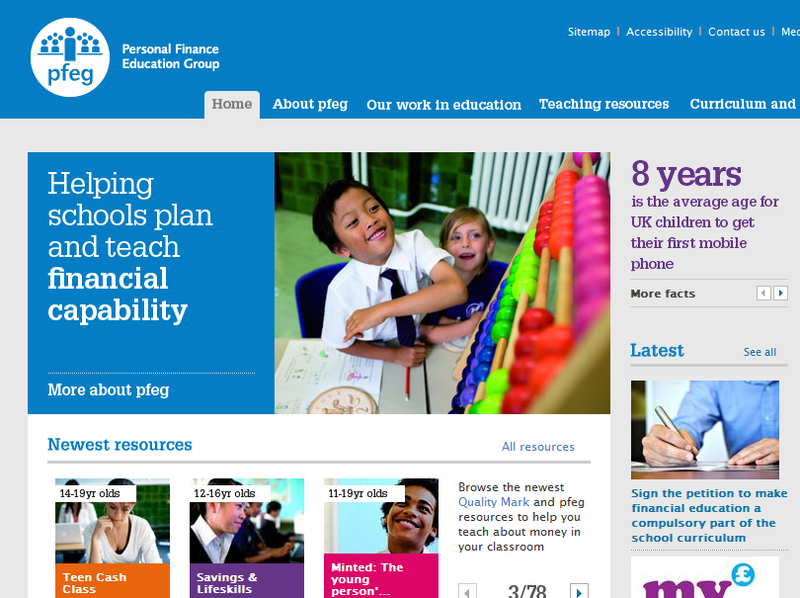 pfeg or Personal Finance Education Group is an organization that works with schools and colleges across the UK to integrate consistent, quality finance educations for children and young people into the curriculums. Accessible information is incredibly important when teaching any subject and pfeg understands that it is no different with finance. The company sought to find a wiki resource that allowed their consultants to produce numerous amounts of lessons & materials for their students, and choose EditMe as their primary shared resource center. We are an independent charity in the UK whose mission is to ensure that all young people leaving school have the confidence, skills and knowledge in financial matters to participate fully in society. We run projects across the 4-19 age range, where our consultants go into schools and work alongside teachers and leadership teams to embed financial capability into the curriculum and school life. 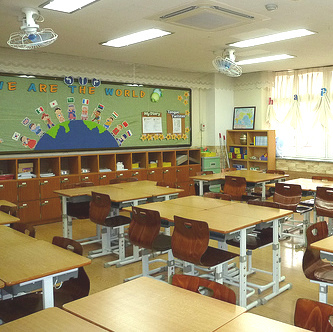 They do this by advising on resources listed on our website (www.pfeg.org) which teach about different as aspects of money and finance, and by working with the teachers to create plans and strategies for getting the most out of their personal finance education. This is where EditMe comes in – our consultants produce huge amounts of materials, whether it is a short activity on buying a car, a lesson on gearing up for living interpedently, a case study of how a school took part in My Money Week by running a café in school, etc etc. All of this material produced by consultants, and anything else they want to share with each other, they upload to the wiki. The main section is arranged by financial topic, so that it easy to see all resources which could be used to teach about tax, for example. We had another wiki - ClearWiki. Before that, we had lots of confused people searching in other people's folders on the network drive! The clarity and ease of use, wysiwyg editor, user stats. Better tagging facility, although i know this is coming! A great, good value tool to help organise and share content within (and outside) organisations. "It's the most straight forward knowledge base or collaboration solution, but with some nice advanced features. Anybody can edit/update it regardless of their level of technical expertise." FastSpring offers their customers with an innovative e-commerce engine designed to overcome the cast array of ease of use, customer service, and cost issues that have plagued software e-commerce companies. They employ a customer-driven, iterative and collaborative development process that builds a highly customizable, hosted order page that seamlessly integrates with the existing website's design and is displayed in the local language and currency of their customers. FastSpring has taken sales and support team collaboration to the next level, utilizing their Editme to provide answers to the specific technical questions, right at their fingertips. We use EditMe because our sales and support team needs to have a knowledge base to reference technical and specific questions not readily available. We really didn't have a good solution. We basically used a shared document on a shared virtual directory. The process was inconvenient and cumbersome, and nobody felt encouraged to use it. I'd have to say it's ease-of-use and how simple it is to update our pages. Our team can now collaborate on specific topics in a way we weren't able to before. I think a feature we'd benefit the most from would be having drop down menus in the navigation for sub level pages. The would minimize clicks and prevent our team from having to often search for topics/pages. However, Matt Wiseley confirmed that this is in the backlog, which we were glad to hear. I often tell them that it's the most straight forward knowledge base or collaboration solution, but with some nice advanced features. Anybody can edit/update it regardless of their level of technical expertise. "As a service it has a great personal feel, both from the EditMe staff and its external community." MetaCalculus is described as a paradigm of mathematical modeling and automatic programming, above and beyond the level of calculus. It employs calculus search engines under the hood in a recursive harness of nested automatic differentiation to solve inverse problems in nested subroutines. For those of us who don't have a Ph.D in math, they are a small software company that makes highly advanced math software for use in higher education, research and the industrial sciences. Frank Germano, COO, took some time to tell us about how they're using EditMe internally at MetaCalculus. We are using EditMe to support the internal collaboration between 7 scientific modellers and programmers building a Cloud-based computing service. We also plan to use EditMe as a support site for the product testing, and on into its commercial phase. This is a new company, and we have been using EditMe from the beginning. No infrastructure headaches; it's all set-up. It is extensible by technical people. As a service it has a great personal feel, both from the EditMe staff and its external community. It may well exist, but I don't read anything until I have to. I would like to see a summary view of the functionality. Or maybe a sample book of ideas. All set up and ready to go. Start simple and keep going. "It's an awesome, easy to use online system for keeping all the info I need at my fingertips." Specializing in back pain, sports injury and dance injury treatments, Perfect Form Physiotherapy aims to address all contributing causes of a condition throughout the duration of treatment. Clients often report that other issues that they have had for years have dissipated even without direct treatment, due to the holistic care received at Perfect Form Physiotherapy. Proof that wiki-based intranets aren't just for high tech companies, Perfect Form Physiotherapy has integrated EditMe into the key roles of strategy, knowledge sharing and operational management of their growing business. We use edit me as a repository of all ideas and information in relation to our online products, treatment techniques and office management. All in all - everything to do with our business! I am also using it as a tool for documenting information from courses that i am taking - so as to share the knowledge with other staff. It was ALL over the shop - and very disorganised - a lot of individual folders that i had to lug around from office to office. I can throw in ideas at the time, and then go back and clean up later. I can cross link information, and it os so easy to organise and reorganise places for everything. It makes it easy to teach a new staff member about the practice as everything is in one place! Being able to copy and paste images in, instead of having to have a URL, or a easier way to upload images.... However I havent used the help on this... so I will explore a bit! That it's an awesome, easy to use online system for keeping all the info I need at my fingertips, in one place. I love it! Recently we released two product updates. The first made the navigation among the various "families" of skins consistent, making it less traumatic to switch between skins on your site. The other is the second phase of tag support! Before this release, different types of skins (Acton, Yorktown, Classic, Objective, Newton) handled the navigation differently. As EditMe has matured, its handling of navigation has become more sophisticated and easier to manage. But our old skins weren't always updated to reflect these changes. As a result, some very old skins, like Classic, didn't support any automatic navigation at all. Some later skins, like Yorktown, started to use EditMe's Organize feature to list pages under a special NavBar1 or NavBar2 page with pages under the Menu page listed on the side. Then Objective simplified things by using Menu as the root of all pages, with the top level pages under Menu making up the top navigation bar and subsequent pages in the current "section" appearing in a side navigation. As a result of this consistency, switching between skins in EditMe could mean your site's navigation disappearing! This problem is now fixed. All of EditMe's skins not only have automatic navigation based on the Organize feature, but all of them now use the Menu page as the root of your site's navigation tree. This means you can now try out different skins in EditMe without fear of your navigation not showing up or having to reorganize pages into a different structure. What this also means is that if you change skins from one of the older skins before this change was made, you may need to move your pages from NavBar1 to Menu. You can do this via the Organize tab on your site's editing screen. We also rolled out phase two of tag support in EditMe. You've been able to add tags to a page on the Properties tab of the editing screen for some time now, but there wasn't any way to actually use these tags. Now you can display tags on your site and use them as part of your site's navigation. Also, tag support is now integrated into EditMe's API. You can include a tag cloud in any page of your site by entering [[include:_TagCloud]]. You might choose to put this on your site's home page, or in the Menu page so its displayed on every page. Be sure to add some tags to a few pages first. Display a list of tags on the current page with [[include:_ListTags]]. Each tag on the page will be listed and linked to a list of other pages with that tag. That list is another script named _TaggedPages, which can be linked to directly as needed. Future plans for tag support include integration with the Site Explorer and integration with the Objective skin. If you weren't trying to use your EditMe site on April 21, consider yourself lucky. For those of you that were, this post attempts to explain what happened in layman's terms. On April 21 at 4AM, all EditMe sites went down. We quickly identified a problem with the service built into our hosting provider that provides disk storage to our servers. To put it simply, the ability to read and write data from the disks storing all data and programs needed to run the EditMe service slowed to a halt. Since disk storage is a fundamental requirement for a computer system to run, this locked up everything. For some background, EditMe is hosted "in the cloud" using a service owned by Amazon (yes, the online retailer) called Amazon Web Services (AWS). I get into why we use AWS in some detail below. We checked the AWS service status page to see if they were aware of the problem. Since there was no indication there that they were, we notified AWS. A few Twitter searches told us right away that lots of AWS customers were experiencing the same problem. The huge benefit of using a service like Amazon Web Services (AWS) is that, when there is a problem, service can be easily recovered. When there is a problem with a particular server, it can be moved to another working set of hardware within minutes without requiring any intervention from AWS support staff or data center personnel. In traditional non-cloud data centers, a server failure requires manual intervention and usually spells several hours of downtime for that server. In this case, the problem was affecting all of our servers, so we realized it was not a problem at the server level. When the problem is more widespread, there is still opportunity for fairly speedy self-recovery, and another huge benefit of this infrastructure. AWS segments their massive data centers into independently operating sections called Availability Zones. Each zone has separate power, networking and other services to avoid a single point of failure. When there's a serious problem that brings down service, AWS customers can easily and fairly quickly migrate their service to one of the other zones. Again, this is done without having to involve AWS staff or feet on the ground. After seeing that Amazon had recognized the problem and was working on it by 6:30AM, we decided to start migrating service to another zone. Unfortunately, we were unable to do this. It's still unclear exactly why, but this problem not only brought down service to our current availability zone, but attempts to restore service to other zones were also failing. This meant our hands were tied. Our service was down and we had no way to restore it until AWS restored service to at least one part of their data center. As we monitored the problem into the morning, it became clear that this problem was massive in scope. By mid-morning we learned that it had brought down several major internet sites and the news from the AWS status page was not encouraging. The little detail they gave is that their storage service encountered a problem, to which it responded by recreating mirrors (the redundant disk copies that protect from disk failure). This effort is not easily stopped once started, and the performance effect of such a massive remirroring was devastating. One of the challenges of cloud computing is that when there is a problem like this, each customer responds by trying to recreate their environment in a working section of the data center. This compounds a performance problem by doubling or tripling the resources required to serve existing hosting customers. We believe that the disk performance issue combined with the massive additional load required by customers attempting to recover service is what was behind the outage. AWS has promised to perform a thorough postmortem and publish details of what happened, what they have learned from it and what will be done to prevent such a failure in the future. We are eagerly awaiting this information and will share it here when it becomes available. By about 6PM on April 21, AWS had restored service to a point where we were able to begin migrating the EditMe service to one of the other Availability Zones that was working. This process was completed between 8-10PM and all sites were restored to service. Over the following 24 hours, performance issues continued to plague the service causing intermittent, though mostly brief, outages. In order to restore service this way, we needed to start from the backup made prior to the original outage event. This meant changes made between 10PM ET on 4/20/11 and 4AM ET on 4/21/11 (when the outage began) would be lost. Given that this is a very slow time for EditMe site changes and that we were confident the old volumes were not lost forever, we decided it was better to restore to these backups and resume service than to wait an unknown amount of time for the volume recovery process. We posted a detailed message to the editing screen of all EditMe sites notifying Administrators of the situation and explaining their options. We're glad we did restore from backup because, as of this writing and four days after the outage began, we are still unable to recover two of the four volumes affected by the outage. We continue to work with AWS to restore these volumes. We're also glad because very very few customers have come forward indicating that they had entered important content during that lost time frame. This outage received a lot of press coverage, most of it questioning the viability of cloud computing and warning of "putting all your eggs in one basket". Most of these peices were written by journalists who don't have a solid understanding of the technology behind a service like AWS. The massively redundant nature of AWS data centers means that hosting with them is hardly putting all your eggs in one basket. I recall a 24 hour outage to the data center EditMe was first hosted at back in 2004. They had a fire that caused significant physical damage to their facility. I bring this up only as an example of fallibility in any hosting environment. Cloud hosting is fairly new. There are unparalleled benefits to the kind of service AWS provides, and we think that retreating to a traditional dedicated hosting solution is an unwise reaction to this outage. Clearly this has been a painful process for AWS and their customers. We expect that from it, AWS will learn from these mistakes and become a more stable and reliable service because of it. If there's one to be seen, this is the silver lining of last week's crisis. AWS was the pioneer in this space. They continue to run the biggest and most thorough suite of cloud computing infrastructure services. We could run to one of their competitors, but it's not likely the grass is greener with less experienced companies. In short, we feel that the benefits of cloud computing substantially outweigh the risks and that AWS is still one of best, if not the best, providers in this space. Thanks to all of you who offered words of understanding and encouragement during these trying days. We're terribly sorry for the very real disruption this outage caused our customers. We want everyone who comes to EditMe to get going quickly and experience the thrill of success in using our product. To that end, we're trying out a live training session for new and existing customers. The training will feature an instructor demonstrating basic use of EditMe to configure, build and edit a collaboration site. Questions will be accepted and answered as time allows. The first session will be held online Friday, April 15 at 1PM Eastern Time. If you're interested in attending, please sign up! How long have you been using EditMe? If you created your EditMe site within the past 4 months, you've seen Objective, the newest member of EditMe's family of skins. This blog post is for the lion's share of EditMe customers who are still using one of the older skins and might benefit from some of Objective's new features. We're excited to announce a partnership between business wiki host ClearWiki and EditMe. EditMe is offering a wiki transfer service to ClearWiki customers who will have their service discontinued this summer. Wakefly, Inc. today announced its acquisition of online collaboration software creator EditMe. EditMe received a favorable review from veteran tech writer Jonathan Blum for Entrepreneur Magazine. "EditMe aims to shed the cookie-cutter approach and give companies the power to create a highly efficient, Web-based collaboration tool that meets their particular needs." How to motivate internal forces to keep relevant content fresh and perhaps save your . . . behind? Affinaquest is a brand new way to manage data for fundraising, using the Salesforce.com platform. This Spotlight On Jeff Shy, the President of Affinaquest, we learn how Affinaquest uses EditMe to enlist "power users" to create great user documentation. LootWorks, Inc. is a new company focused on building online social games based on the popular fantasy books series - Swords. In this week's Spotlight, Mike Kelley, CEO of LootWorks, shares his thoughts on why he uses EditMe and how to make it better. Need a hole in the wall? The continual expansion of technology and accessibility that the internet provides us has ushered in a new era of business to business capabilities that were once the domain of only the very large, very financially capable firms. In this video, the CEO of Appligent Document Solutions described how his team uses EditMe to transform their website from a static marketing website, into a repository of the latest information on all their products and solutions for both prospects and customers alike to utilize. Turn all your passive readers into active contributors and collaborators. Here are some ways to make people want to *do* stuff with the content you create and put online. As more and more people with more diverse experiences, points of view, and job responsibilities become part of the larger team - sometimes in different locations - teamwork and innovation gives rise to bureaucracy. Use a wiki to establish corporate culture. Grace Maghanoy, one of the nine employees in a small, but powerful Australian SEO agency, tells us how EditMe "makes me feel as if we've gathered all our loose straws and tied them all up." A small change made today makes it a bit simpler to keep your EditMe sites tidy. A new include script is now available that displays recent changes to the current page. You might include this in your site's Menu area to provide insight into what's been going on with the page being viewed. A new release today makes managing the content on your EditMe site even easier. You can now view and manage the entire tree navigation from the editor of any page with simple drag and drop. With 75 percent of Millennials, or people ages 18-29, using social media, Learn It In 5's powerful library of how-to videos, produced by technology teachers, helps teachers and students create classroom strategies for today's 21st century's digital classroom. Mark Barnes tells us why he's selected EditMe as the platform for this new community site for teachers in this latest installment of Spotlight On: Learn It In 5. Email is not an effective medium to run an entire business or consulting project. Here are three reasons why using collaboration sites as client portals can really supercharge your consulting efforts and create happy clients. Of the nearly 1,000 active collaboration sites studied, it's clear that the amount of contributions being made occur in the site's early days. However, it can take upward of 1.5 years of active collaboration for your organization to find, document, and agree upon your business processes. What benefits did HubSpot realize after adopting a corporate wiki? This post comes to us from Mike Volpe, the Vice President of Inbound Marketing at HubSpot. I asked Mike to comment on how using a corporate wiki has helped their company growth to over 2,500 customers in three years.